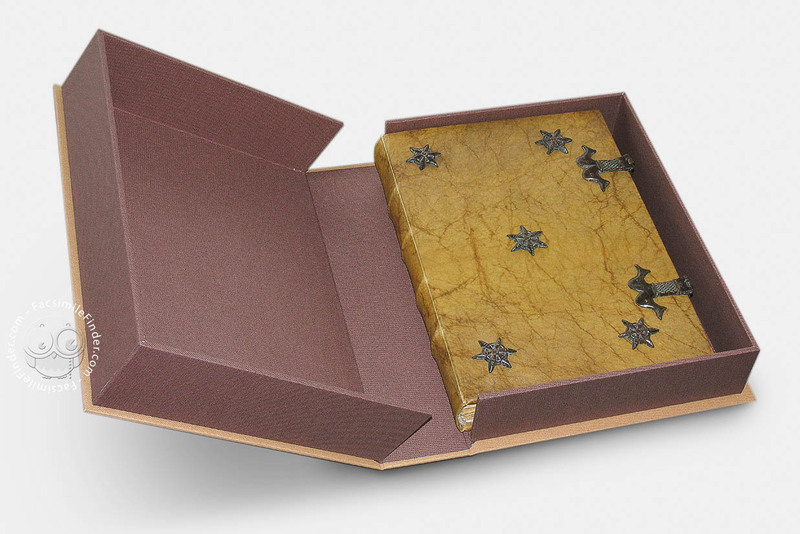 The Beatos take up an essential place in the illumination of the Spanish and European Middle Age books. 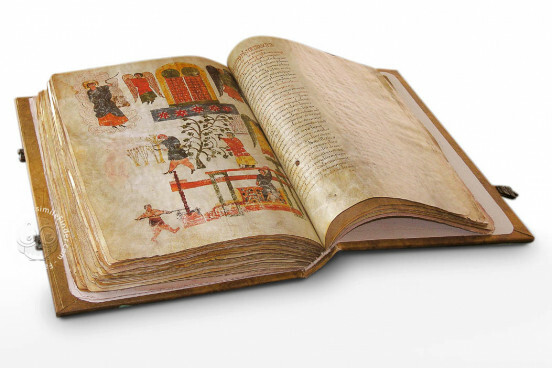 Most of them are manuscripts richly illustrated with comments made in the 8th century by the monk Blessed of Liébana about the Apocalypses of Saint John. Its impact and spread made this work one of the basic books of the spirituality of 10th and 11th century. After the fragment of Cirueña (Silos, monastery’s library), the Beato “Emilianense” is the oldest illuminated manuscript of the I Family that we keep. It has been dated to the first half of 10th century, around 920-930 (W.Neuss); P.Klein set it between 925 and 935 and José Camón Aznar, at the end of 9th century. Other authors, however, date it later, considering their miniatures part of the “mature mozarab” style. There is not any signal that allows us to attribute clearly the work to any specific studio. Most of the critics have considered it as a work executed on the desk of San Millán. P. Klein doubts about that “emilianense” origin and claims (due to the writing, the ornamental technique and colour) that its origin comes from León. Mentré considered the desk of Valeránica (Castile) as the possible origin of our Beato. It was for seven centuries in San Millán de la Cogolla (La Rioja), until it was moved to Burgos in 1821. 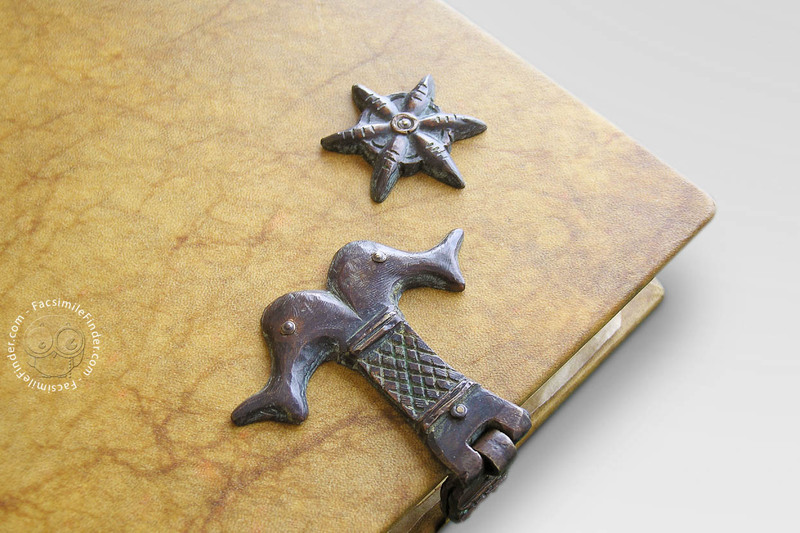 After that, the politician, bibliophile and collector Serafín Estébanez Calderón got hold of it. When he died (1867), it was deposited with his entire library in the Ministerio de Fomento (Ministery of Public Works). In 1873 was temporarily handed over to the Escuela Superior Diplomática de Madrid. Finally, in 1886, was deposited for its definitive custody in the Spanish National Library, in Madrid. As a result of all that, the manuscript, a parchment of 144 sheets of approximately 345 x 250 mm, in lower Visigoth case, has arrived to our days really damaged and hacked about. There are missing sheets at the beginning, at the end and on 31 sheets in the middle. There are signs that at least twelve illustrations have been cut. Nowadays 27 apocalyptic miniatures are preserved, the tables of the Antichrist as well as other small of the chapter. The miniaturist is anonymous. All the preserved illustrations are related to the apocalyptic text and are integrated in the literary context as a visual adding of the commented and related passage. They are placed immediately after the storia (apocalyptic story) and before their corresponding explanatio (Beato’s comments). In our codex there is not any miniature which illustrates directly the Beato’s comment. As it corresponds to the Beatos of the I Family, there are many missing preliminary miniatures and also the ones of the cycle of Daniel. Manuscript book on parchment − 34.5 × 25 cm − 288 pp. 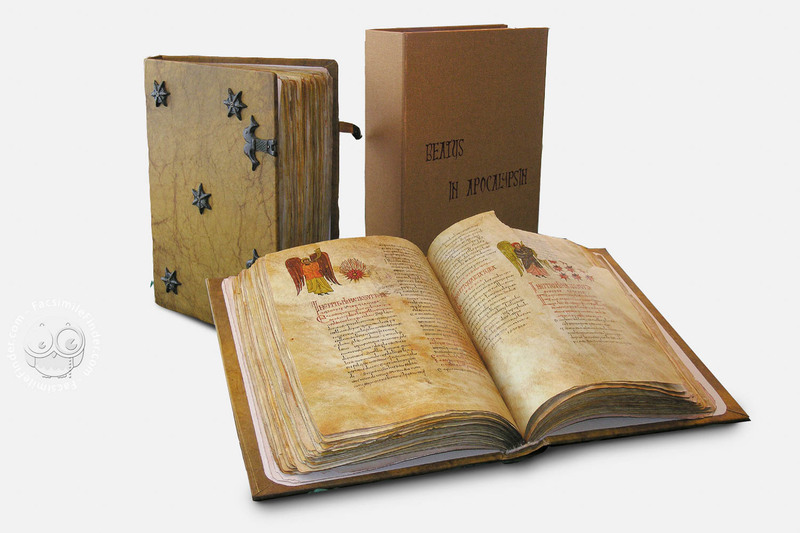 Full-size color reproduction of the entire original document, Beatus of Liébana - Emilianense Codex: the facsimile attempts to replicate the look-and-feel and physical features of the original document; pages are trimmed according to the original format; the binding might not be consistent with the current document binding.